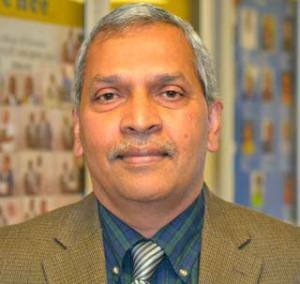 President Obama has named Southern University at New Orleans (SUNO) Professor Murty S. Kambhampati and 13 other individuals and one organization as the newest recipients of the Presidential Award for Excellence in Science, Mathematics, and Engineering Mentoring (PAESMEM). These mentors received their awards at a White House ceremony later last year. Candidates for the award are nominated by colleagues, administrators, and students in their home institutions or through professional affiliations. Candidates also may self-nominate. Their mentoring can involve students at any grade level from elementary through graduate school and professional development mentoring of early career scientists. In addition to being honored at the White House, recipients receive awards of $10,000 from the National Science Foundation. 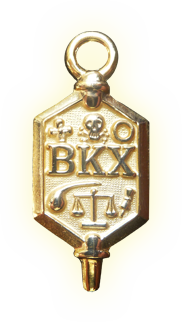 Deadra James Mackie, National Executive Secretary of Beta Kappa Chi Scientific Honor Society states that “Dr. Kambhampati currently serves as the primary advisor for Beta Kappa Chi Scientific Honors Society, at SUNO, as he mentors students actively performing scientific research. His skill set is invaluable to the students and organization as he supports Pure and Applied Science”. SUNO’s Kambhampati holds a Ph.D. from Jackson State University in Environmental Science and a Ph.D. from Andhra University, India in Ecology. Over the years, he established excellent collaborations with Brookhaven National Laboratory (BNL) in Long Island, New York; Dowling College, Tulane University, Louisiana State University’s Louisiana Biomedical Network, and the Louisiana Universities Marine Consortium (LUMCON), Cocodrie, LA to place students for summer internships and ecological field trips. He is an active research mentor for undergraduates; and serves as the PI and Co-PI on funded state and federal grants and is SUNO’s Beta Kappa Chi/National Institute of Science chapters’ sponsor. He has won several awards for his work as a mentor, including the National Role Model Faculty Award from Minority Access, Inc., in 2008. His research interests are Phytoremediation, Environmental Toxicology, ecological studies on coastal ponds, and Environmental Biotechnology.